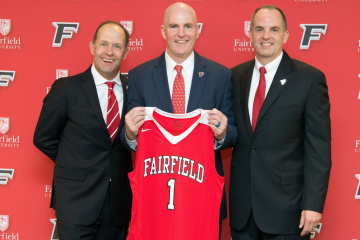 The Fairfield University men’s lacrosse team (5-6, 0-2 CAA) were doubled over by the Towson University Tigers (7-3, 2-0 CAA) at an afternoon Colonial Athletic Association (CAA) matchup on Sat., April 6. 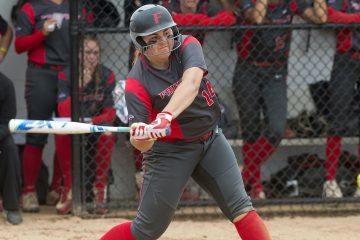 The 14-7 loss on Fairfield’s Conway Field contributed to Fairfield’s 3-game losing streak. Stags Jack Brennan ’19 and Dylan Beckwith ‘20 each tallied a pair of goals, and Beckwith was credited for a helper to Patrick Drake ’22 for his single goal of the game. Beckwith stretched his point streak to 21, which dates back to the 2018 season. Fairfield’s weak face-offs played a huge component in their loss, as they went 2-25 against Towson’s Alex Woodall, who currently holds the second best face-off record in the country. In a post-game interview, 11-year head coach Andy Copelan expressed his disappointment of the Stags’ play, especially in regards to their center-field failures. He acknowledged how instrumental Towson’s constant possession of the ball was their defeat. Copelan expressed high hopes that the team will dig themselves out of the rut they are in, accrediting some of their weaknesses to his younger, still developing roster of men. One of his solutions was to watch film in preparation, and focus primarily on possessing a next-game mentality as he acknowledged that the game in Pennsylvania was do-or-die. “It’s back against the wall. I don’t know what the other CAA scores were yet, but we are in must-win territory right now and so hopefully that can bring a real resurgence of just overall energy into the locker room,” said Coach Copelan. Fairfield fans will anxiously await the next match, hoping that they put themselves in a better position to go further this season.